Being in an accident can be life-changing. Individuals can suffer debilitating disabilities that impact their ability to work, to secure a job, or to care for their children or loved ones. Families may struggle under the pressure from high medical and rehabilitative expenses. Iowa law offers important legal protections to individuals who have been hurt in an accident. Eells & Tronvold Law Offices, P.L.C. are accident lawyers in Iowa who work with victims and their families, helping them seek the compensation they deserve for their injuries. You and your loved ones may be entitled to receive money to cover your medical costs, lost wages, and pain and suffering. Contact Eells & Tronvold Law Offices, P.L.C. at 319-393-1020 to learn more. Make sure you and everyone involved is safe. In the case of most accidents, you’ll want to call emergency personnel. It is important to get medical attention. Some injuries may not appear immediately after a crash takes place. For instance, traumatic brain injury symptoms can take days or even weeks before they appear. Some victims suffer from hearing issues, slurred speech, sight, insomnia, mood changes, memory problems, and other issues without even being aware that these symptoms could be the result of their accident. Other individuals may suffer from post-traumatic stress disorder in the days and weeks after a crash takes place. Make a police report and see a doctor if you’ve been hurt. Don’t accept blame. The stress and pain of being injured or being involved in a crash can be confusing. Don’t accept blame after an accident. Stay calm. Call the police. State the facts and get medical help. Take photos. If the floor of a store was covered in liquid where you fell, take a photo with your phone. If you were involved in a crash, photograph the damage to your vehicle and take photos of the scene of the accident. Speak to an accident attorney in Iowa. If you think another person or party may be responsible for your car crash or injuries, you may be entitled to receive compensation for your medical expenses, rehabilitation costs, lost wages, and pain and suffering damages. However, you may only have a limited amount of time to make a claim under the law. 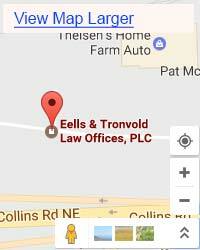 Eells & Tronvold, Law Offices, P.L.C. 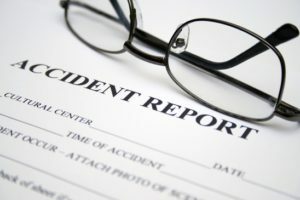 are accident lawyers in Iowa who work with victims to help them seek the compensation they may deserve under the law. Knowing the steps to take after a crash can be a challenge. You may be trying to heal, struggling to balance bills and time away from work, and you may have questions about dealing with insurance adjusters or negligent parties. You don’t have to handle these tough questions alone. Eells & Tronvold Law Offices, P.L.C. 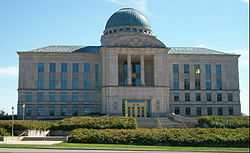 are accident attorneys in Iowa who offer a free initial consultation for individuals and families who have been hurt. If you’ve been seriously hurt, you and your loved ones may have many questions. Car accidents, slip and falls, and injuries on another person’s property can leave people facing a range of medical challenges. Victims may suffer spinal cord injuries, back injuries, neck injuries, broken bones, traumatic brain injuries, internal injuries, and post-traumatic stress disorder. If you or a loved one has been hurt, you need an accident lawyer on your side who not only understands the unique challenges these injuries pose, but who also understands personal injury law. Our firm can help you speak to adjusters, fight for the settlement you may deserve, and seek compensation from negligent parties either inside or outside of court. Many stakeholders may be involved in your accident. For instance, in a truck accident, a range of companies or parties may be responsible. When you, or a loved one, is facing medical bills in the thousands, or more, you need an accident lawyer fighting for your rights. Eells & Tronvold Law Offices, P.L.C. 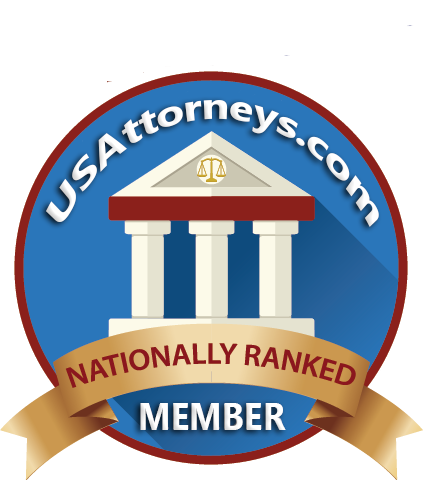 are accident attorneys in Iowa who work hard to help victims get the maximum possible recovery under the law. If you’ve been injured in Iowa, don’t suffer alone or in silence. You may be entitled to collect damages for your injuries and losses. You may only have a limited amount of time to seek damages for your injuries due to Iowa’s statute of limitations laws. Don’t let the clock run out. Contact Eells & Tronvold Law Offices, P.L.C. today to learn more about how our accident attorneys in Iowa can help you.